For over 30 years, the Manzana family has been welcoming guests to their hotel. 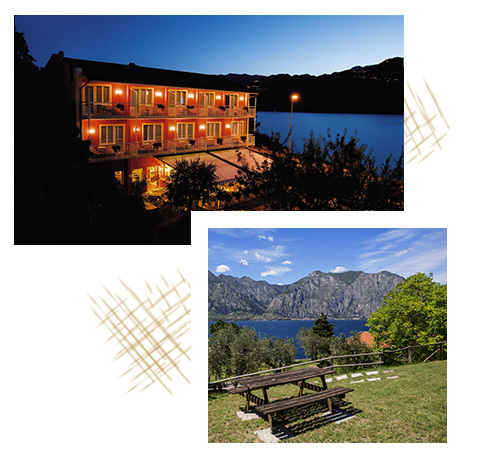 Our aim has been to provide a relaxing and enjoyable stay in one of the most beautiful parts of Italy. The hotel provides a friendly family atmosphere and guests have returned year after year to enjoy their holiday in our hotel overlooking the lake. The northern part of Lake Garda has much to offer to our guests, from those who prefer an active holiday, to those who wish to enjoy the spectacular scenery and relax. We are here to help and advise You. We thank all our regular guests for their continued support over many years and to those of You who will choose us, we hope You will come and discover northern Lake Garda, where You will receive a warm welcome at Hotel Al Molino.